MEDFORD — Ospreys Athletics is proud to announce the hire of Christine Nelson as head coach for the inaugural season of women's volleyball at Rogue Community College. Nelson brings more than two decades of experience coaching volleyball and basketball at the high school and collegiate levels. 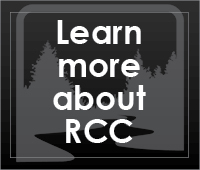 She comes to RCC from Grays Harbor College in Aberdeen, Washington, which also competes in the Northwest Athletic Conference (NWAC). 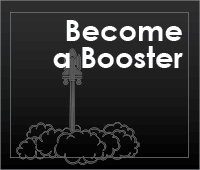 The Rogue Community College (RCC) Ospreys women’s soccer team is proud to announce that three sophomores have signed letters of intent to play at the university level next season. Ospreys forward Logan Billy and defenders McKenna Frison and Lara Nuttall have signed on to play in the National Association of Intercollegiate Athletics (NAIA). Ospreys Athletics hosted a celebration with friends and family Friday, March 8. MEDFORD – The Rogue Community College (RCC) Ospreys men’s and women’s soccer programs collected post-season honors from the Northwest Athletic Conference (NWAC) this past week. Awards for All-Stars, All-Region, and All-Academic were handed out and the Ospreys had eight different athletes honored. Logan Billy and Mauricio Sanchez were selected as All-Stars. Both are sophomores in the Ospreys program and looking to transfer on and continue playing. This was Logan’s first All-Star appearance and the second for Mauricio. MEDFORD – The Rogue Community College (RCC) Ospreys women’s and men’s soccer teams both played in their final games of the season Wednesday, Oct. 24. The Ospreys women hosted Portland Community College (PCC) and lost the match 1-0. The Ospreys men were on the road against PCC and lost their match 4-0. MEDFORD – The Rogue Community College (RCC) Ospreys men’s and women’s soccer teams were in action Saturday, Oct. 20. The Osprey’s men hosted the South Region’s No. 1 ranked Southwestern Oregon Community College (SWOCC) and played well but gave up a penalty kick goal early on that was the difference as they fell 1-0. The Ospreys women ended their playoff hunt on the road when they fell 2-0 to Chemeketa Community College (CCC). MEDFORD – The Rogue Community College (RCC) Ospreys women’s soccer team was on the road Wednesday, Oct. 17 taking on Clackamas Community College (CCC). The Ospreys need to win their final three games of the season to qualify for playoffs and started off on the right foot with a 1-0 win. MEDFORD – The Rogue Community College (RCC) Ospreys hosted Clark College (CC) Saturday, Oct. 13. The women played first and held strong early against the No. 4 ranked Clark women but ultimately lost the match 6-0. The men followed and scored quickly to take an early lead but couldn’t hold on and fell to Clark 4-1. 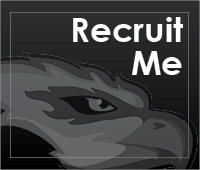 MEDFORD – The Rogue Community College (RCC) Ospreys were at different destination but both on the road Saturday October 6th. The Ospreys men were playing Chemeketa Community College (CCC) in Salem, OR and the women were in Coos Bay taking on Southwestern Community College (SWOCC). The Ospreys men challenged Chemeketa deep into the match but gave up two goals late to lose 3-0. The women played Southwestern to a draw at the half but gave up a own goal late in the match to fall 2-0. MEDFORD – The Rogue Community College (RCC) Ospreys women’s and men’s teams were taking on Lane Community College (LCC) Wednesday October 3rd. The women played first and were under attack the entire length of the game as they lost 6-0. The men followed and played a contested match but ultimately lost 2-0. Kick it with the RCC Ospreys at the Soccer Expo! 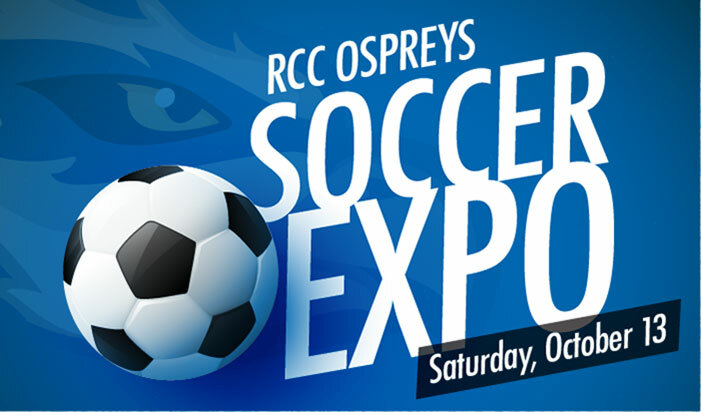 Read more about Kick it with the RCC Ospreys at the Soccer Expo!